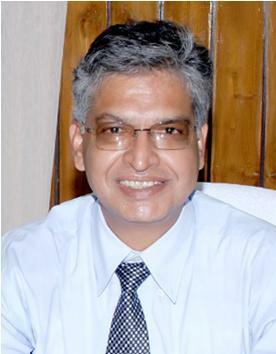 Professor Furqan Qamar was the Vice Chancellor of the University of Rajasthan at Jaipur before assuming charge as the first Vice Chancellor of the Central University of Himachal Pradesh on 20th January 2010. He relinquished the post of First Vice-Chancellor on 25th June 2014 and joined Association of Indian Universities (AIU), New Delhi as its Secretary General. Dr. Qamar also served as Adviser (Education) in Planning Commission, Government of India. Dr Qamar did his Ph.D. (1989) from the University of Lucknow on "Financial Management in Universities in India" and completed his Masters (1981) from the Canning College of the University of Lucknow in first Division and first Position in the University. He obtained his Bachelors degree (1979) from the Lucknow Christian Degree College of the University of Lucknow in first Division and first position in the college and fourth position in the University. He stood first in High School and Intermediate examinations of UP Board. Born in 1960 in the village Bahariabad of the district Ghazipur (UP), he had his early education in the village primary school and the rest his schooling in government aided schools and higher studies in public institutions at Lucknow. Beginning his career as a Teaching Assistant in the Lucknow Christian Degree College ( 1981-1982) and later as Junior/Research Fellow (1982-84) at the University of Lucknow, Dr. Qamar was appointed as Lecturer in Commerce in the Department of Economics of Jamia Millia Islamia in 1984, where he rose to the position of Professor & founder Director of the Centre for Management Studies. Professor Qamar did the Advanced Management Programme (AMP 2005) at the Clare College, Cambridge and held the position of Professor in the Abu Dhabi campus of the Southeaster University and also at Al Bayan University during 1995-98. He has delivered lectures at National College of Science & Technology (now Al Dhoffar University) at Salala in Oman and also at the University of Applied Sciences, Erfurt, Germany. With keen research interest in public policy in higher education, Professor Qamar has been actively engaged in research and has published in journals of repute on such themes as educational planning and administration, financing of education, cost savings and resource use efficiency in education and quality and excellence in higher education. Prof. Qamar has chaired and been members of a large number of committees constituted by the Ministry of Human Resource Development (MHRD), University Grants Commission (UGC), Government of Delhi etc.